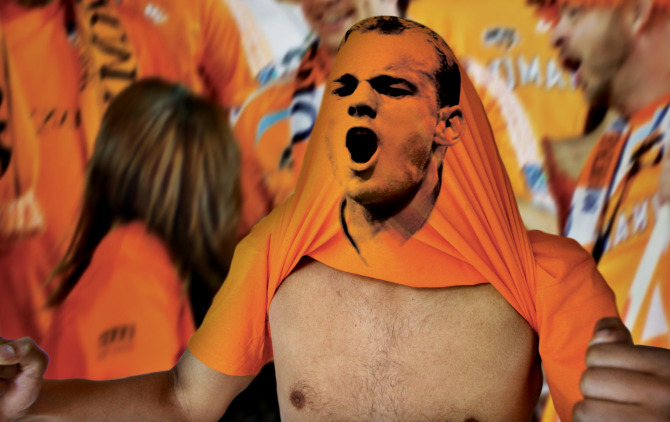 Bas van de Poel and Daan van Dam, an Amsterdam creative team, have produced a design concept that could transform the nature of football crowds at the FIFA World Cup. 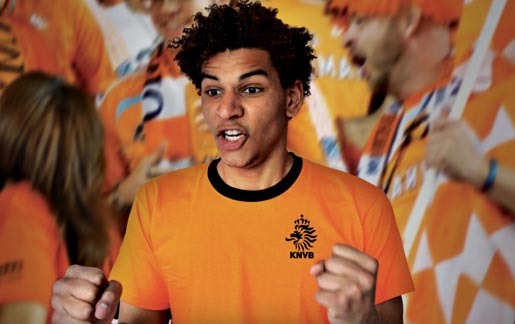 They set out to develop their ultimate fan-shirt and came to the simple solution of printing the heads of the players of the Dutch national team (KNVB) on the inside of T-shirts. 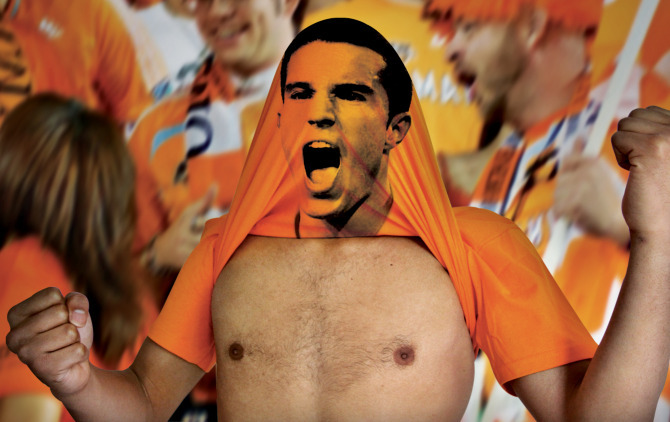 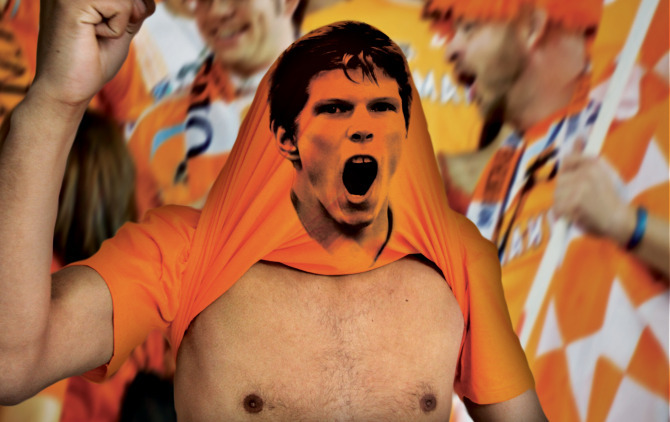 When Holland scores, supporters lift the orange shirts over their heads in celebration, revealing the triumphant faces of football heros such as Robin van Persie, Klaas-Jan Huntelaar and Wesley Sneijder. Bas and Daan are studying advertising at Willem de Kooning Academy, Rotterdam.